The learning. The relaxation. The perks. There’s a million reasons to go on a wellness retreat—but if you’re short on time, now you can get them without the flight. That’s because, together with Athleta, we’ve created a two-hour mini-retreat experience right in New York City: Wellness Collective. 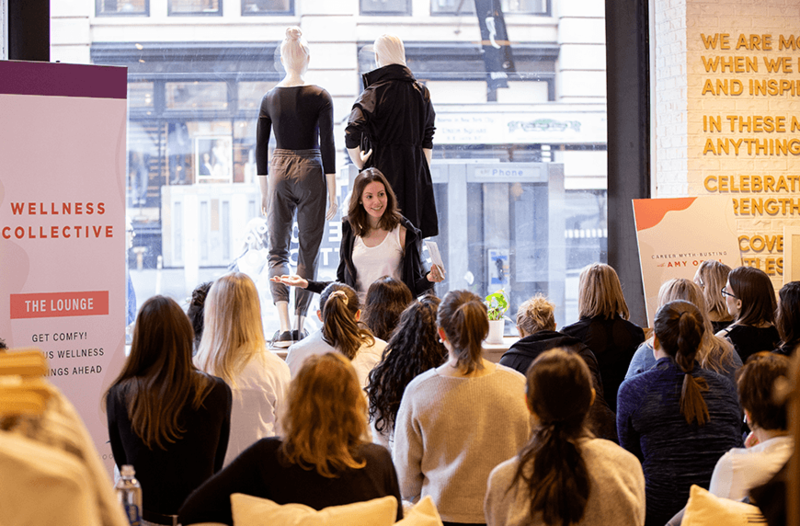 Think of it as a new type of wellness experience, curated by Well+Good and designed to give you direct access to the biggest game-changers in the industry right now, all happening at Athleta’s Flatiron flagship. 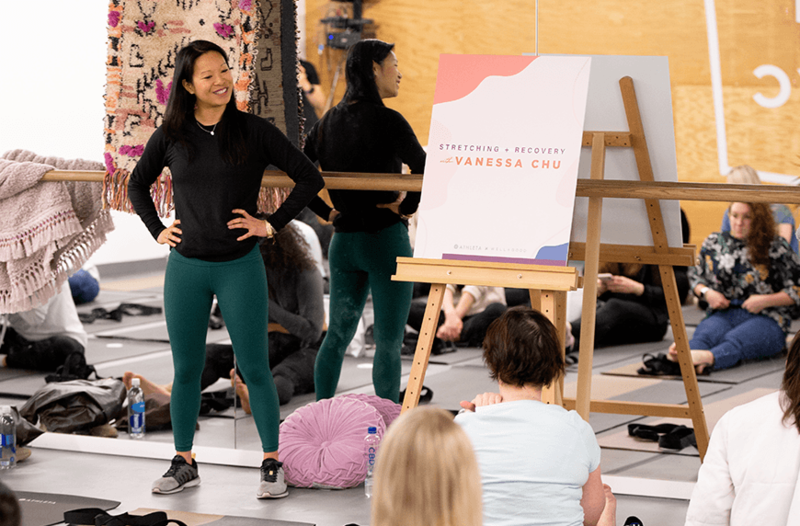 At the debut event on March 30, that included everything from jade rolling to stretching and recovery, career advice, and intention setting—and you can expect the same comprehensive deep dive at every monthly event through January 2020 (and yes, April tickets are on sale now!). That’s because each experience is designed to cover four different pillars: Mind + Body, Finance + Career, Self Care, and Community, complete with a 30-minute workshop on each topic taught by next-level brand founders and experts. The goal? To give you actually useful tips on how to apply wellness to every sphere of your life. And because no active lifestyle is complete without leggings, you’ll receive a $100 Athleta shop card to redeem toward your own pair of tights (or whatever swag you choose) at every event. Have a wellness question—or several—you want an expert to answer? The intimate setting (the guest list maxes out at 40) means each attendee gets face-time with the workshop leaders and the opportunity to interact in the cozy lounge and workshop environment. And the talent is legit. From Well+Good career columnist Amy Odell (a celebrated author and journalist) to Vanessa Chu, the entrepreneurial co-founder of Stretch*d recovery studio in NYC, the lineup of innovative women is as impressive as their resumés. To celebrate Earth Month, the April event will feature a crash course in plant-forward nutrition from Mia Rigden, RD, a tutorial on creating DIY plant-rich facial oils with Chillhouse founder Cyndi Ramirez-Fulton, and a plant-potting demo with Tula House founder Christian Summers. PS: You’ll also get to pick out your own plant to take home from the Tulita plant truck. Not in New York? Wellness Collective will also exist online, with immersive videos and tips-packed articles to help you score all of the intel—plus, two bonus events will also roll out across the country. Hello, advice on how to actually live your healthiest life. Click here to snag your spot for the April event, and stay tuned as we roll out game-plans and videos with our Wellness Collective experts.